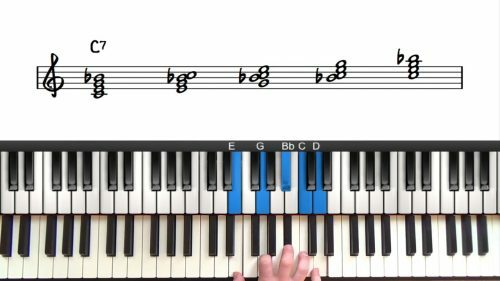 Welcome to this 2nd lesson of "Georgia on my Mind", for the accompanying pianist, or the singing pianist. In the first video, we familiarised ourselves with the basic melody and harmony, and worked on a simple application of walking bass. In this lesson we will start with 7th chords, and give a mind to the arrangement. After covering the basic 7th chords, we will introduce rootless voicings in our right hand. If you are feeling comfortable at this point, you ca start to be arrangement-minded, deciding what sounds good to you. We can add as many rootless as you like but also experiment with triads and rooted voicings. There’s no hard and fast rules here other than to see what you like and what adds to the message of the music that you want to communicate. 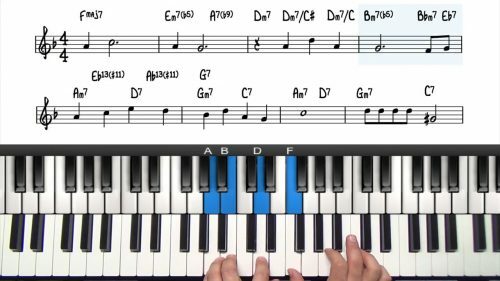 If you are working with a seasoned singer, or if you are performing this song on your own, then you can use an introduction to run some improvised fills using the F Blues Scale and other bluesy embellishments influenced by the great Ray Charles. Something I like to do for my own arrangement, is to then play the first A up high, rooted and simple, then come down into walking bass for the 2nd A Section. 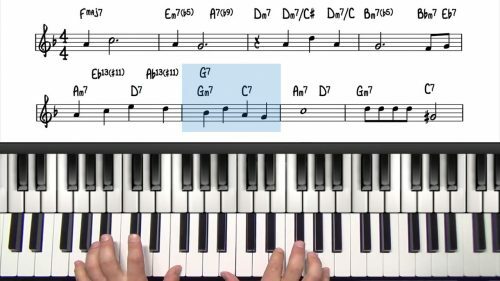 We will add a ‘Trad Jazz’ ending that’s a fairly common device to use in older jazz music. We will explore the ‘Anatole Turnaround’ where we put everything into a full measure, giving our singer tons of space to do their own ending. To start, let's keep our right hand limited to 7th chords in their rooted position which will help us visualise the important chord tones. This might feel unnatural because there is a lot of jumping around. When we incorporate the inversions, the voice leading will make our arrangement smooth and pleasing. Remember to experiment in the different registers of the piano. Lyndol demonstrates starting the tune high up, and then coming down to make a dramatic climax in the bridge.